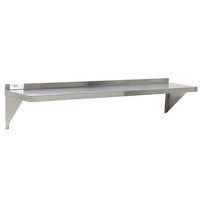 For a convenient storage option, check out the Regency 18 gauge stainless steel 12” x 24” solid wall shelf. 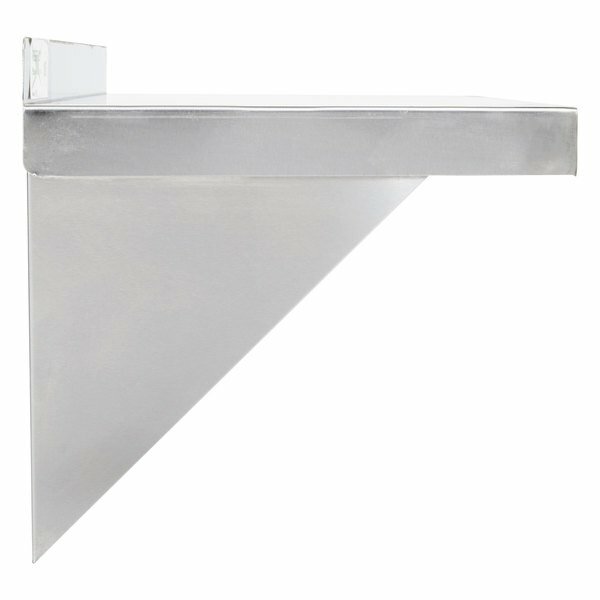 To add extra storage above your work table or countertop, look no further than the Regency 18 gauge stainless steel 12” x 24” solid wall shelf. 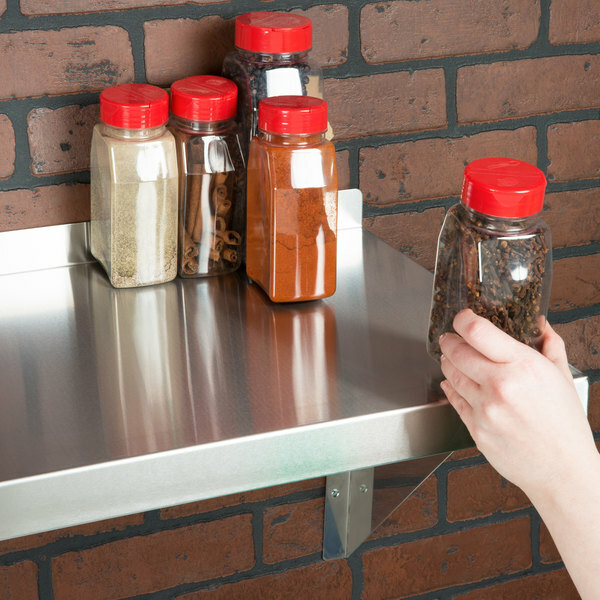 Simply attach the shelf to your wall, and you can keep your most used ingredients, supplies, and equipment within reach without using up all of your valuable counter space. 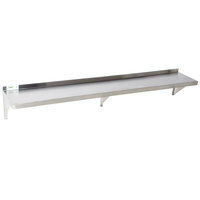 Also, thanks to its stainless steel construction, this shelf is easy to clean and maintain. "I've said it time and time again, you can't beat the value you get from Webstaurant store! Always high quality, great pricing, fast shipping, and this item is no exception. Bar and restaurant is a tough business with slim margins, and you guys help us out! Thanks!" 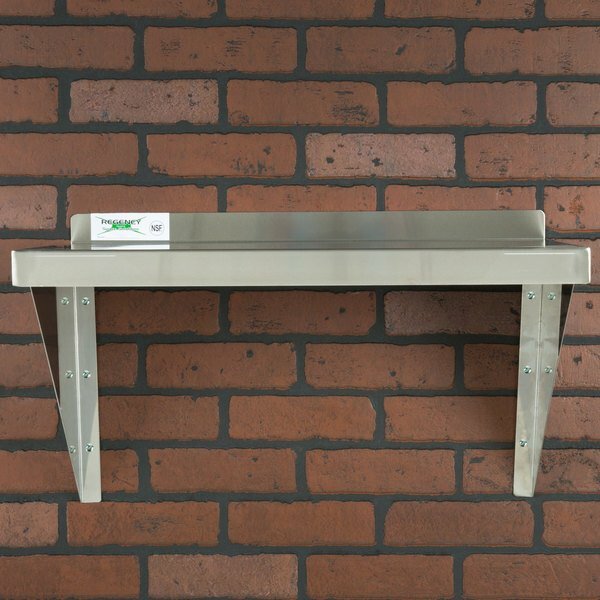 To ensure this shelf can stand up to use in your busy establishment, it's made with durable 18 gauge 430 stainless steel with a #4 finish. 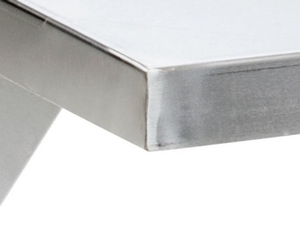 The solid welded corners and support brackets have the same finish for consistency. 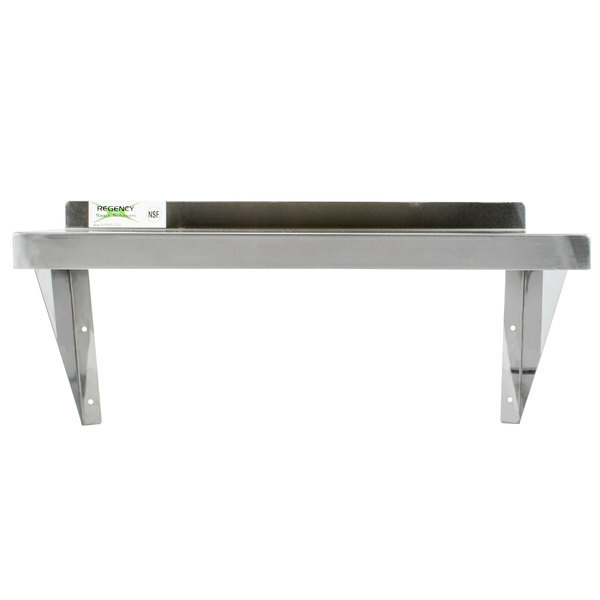 This shelf comes with 2 support brackets, so you can rest assured that it will remain in place. This design gives you a high 210 lb. 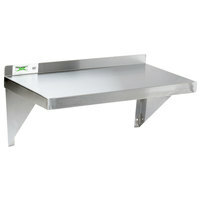 weight capacity to hold all your spices, small kitchen appliances, cleaning supplies, or ingredients. 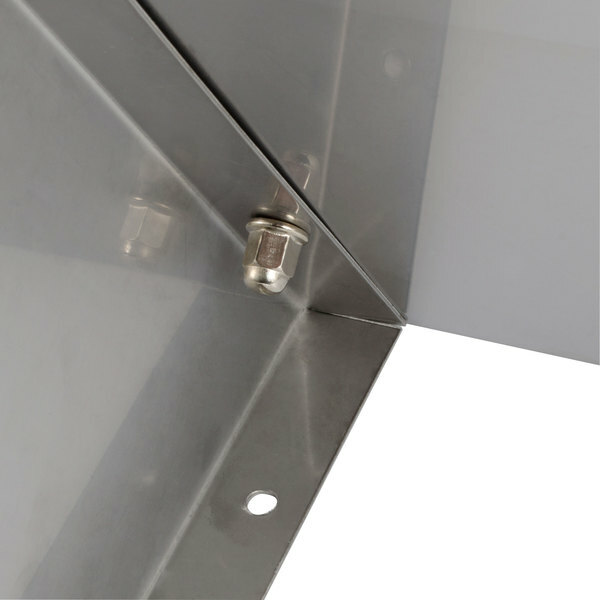 These brackets attach easily to the walls using the appropriate installation hardware (hardware sold separately). All the raw edges are ground smooth, getting rid of any sharp or jagged lines in order to keep your staff members safe. To keep your facility clean and sanitary, this stainless steel shelf is easy to clean and resists corrosion. What does a #4 finish mean? A #4 finish is widely used for restaurant and kitchen equipment, storefronts, food processing equipment, and dairy equipment. This general-purpose finish is characterized by short, parallel polishing lines. 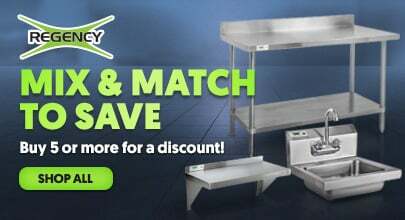 Turn your empty walls into storage centers with Regency's line of stainless steel wall shelves! With space so limited in restaurants and with so much stuff to store, finding a spot for everything can be difficult. In the kitchen there is nothing better than having all your most used items within easy reach, saving footsteps and valuable time. 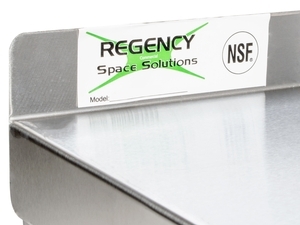 Regency's wall shelves come in a variety of sizes: from 12-18" deep and from 24" to 96" long. You can get our Regency wall shelves in either 18 gauge or the more heavy duty 16 gauge. 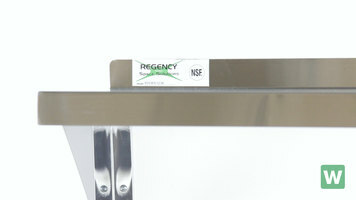 Depending on size and mounting, Regency wall shelves have a weight rating between 100-175lbs. 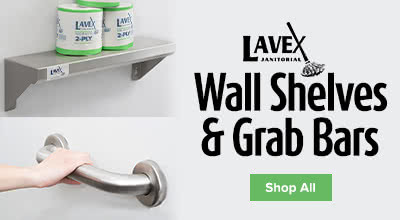 The stainless steel and simple design makes these NSF approved wall shelves easy to clean and a 1.5" backsplash prevents spills going down the back of your wall. They come with two brackets for easy mounting. They do not come with mounting hardware, so that you can use the hardware appropriate for your type of wall. Thank you for watching. If you have any questions, please use our live chat button.